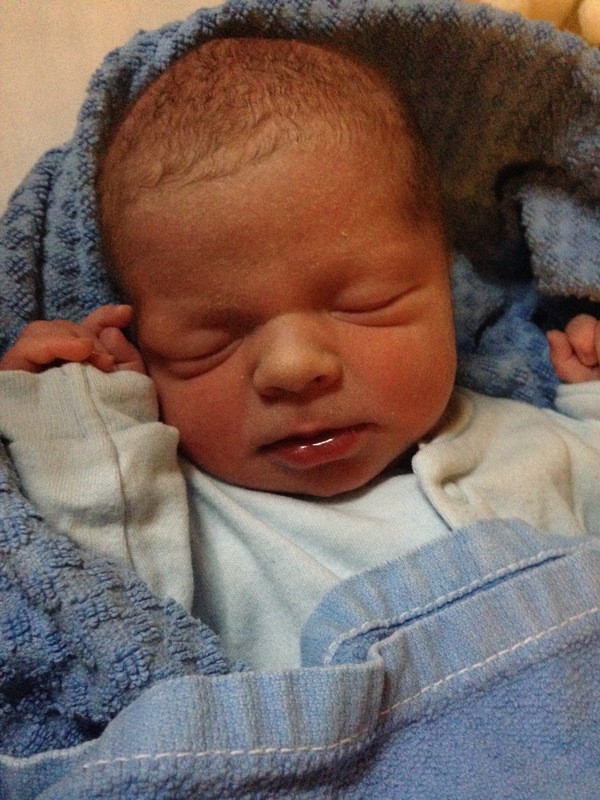 I am delighted to announce that 5 days ago, I gave birth to our second child, our son Alexander Theo. His big sister Elena, kept a watchful eye on us from her place in the stars for 9 months and gave me strength to bring him safely into this world. Alexander is a super happy and amazing baby, and has already been lending me a tiny helping hand in the kitchen this weekend. 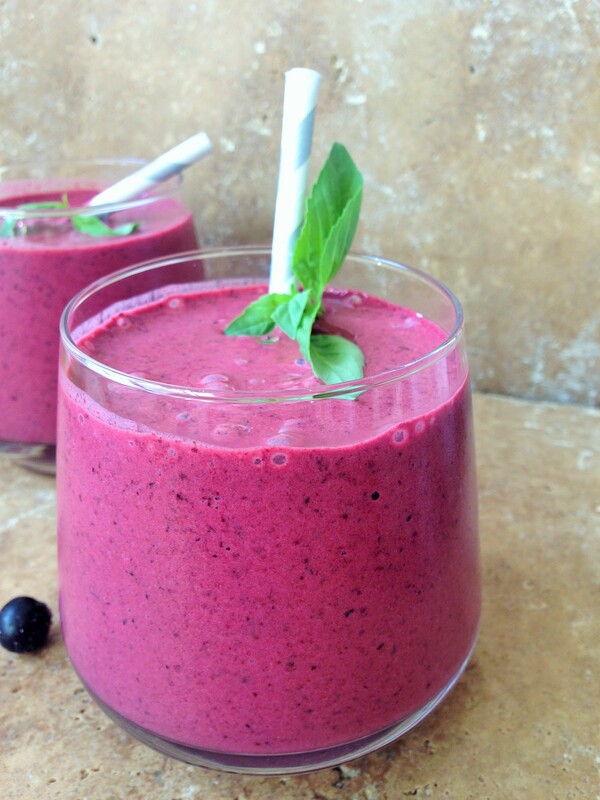 So every morning (well we try to anyway), we start the day bright and early and with a smoothie in hand. I always have frozen fruit in the freezer and greek yogurt in the fridge. Sometimes I have an abundance of fresh herbs too. It’s hard to get out of a routine or to do something different, but we really like our morning smoothies and we usually just keep it simple. 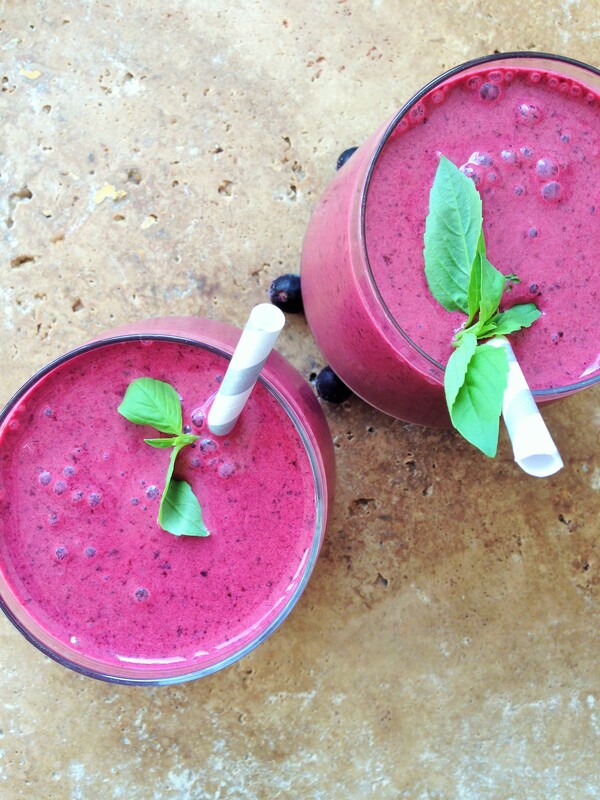 This blueberry and basil smoothie is yum. It’s fresh and full of good energy. Although I think it took my better half a wee while to get used to basil in his breakfast. He’s down with it now, doesn’t even notice it! Blueberries are a fantastic source of antioxidants, I like to use wild blueberries as they are so small, cute and bursting with flavour. Pairing them with banana for energy and basil which contains lots of vitamins (specifically vitamin K and magnesium), makes for the perfect start to the day. Super simple, super refreshing and very tasty! So this is super easy, just place everything in a blender (I use a vitamix, but an ordinary blender will do the job just as well, just might need a few extra seconds to blend ) and whizz until well churned and smooth. If you don’t have the apple juice, orange works just as well but you can also just replace with a little extra milk if you have neither juices. So happy for you both. Congratulations!